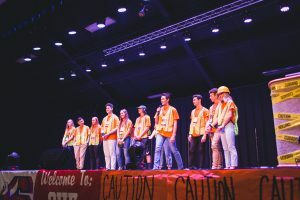 It’s been a week since the end of the 2018 OASC Fall Conference, “Constructing Leaders,” and we still can’t believe what a great weekend we had. In attendance, there were 103 schools bringing, 1332 students, 163 advisers, 12 volunteers, 2 keynote speakers, and 1 therapy dog named Jax! General sessions were lead by the Student Executive Council. 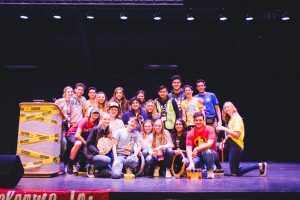 They welcomed keynote speakers Houston Kraft and Denis Estimon. They also had the pleasure of hearing from Dr. Robin Henderson and the #Work2BeWell campaign. During the Sunday evening session of the conference, students and advisers also had the opportunity to choose from over 60 workshops. 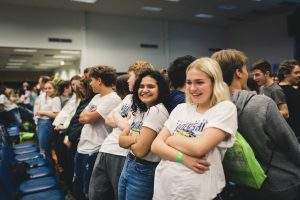 After the workshops, students were able to attend the biggest leadership dance in the state, provided by Blackboard music! Activities were also provided by High Fidelity Entertainment, Chad Dowling Productions, Flip Flop Sounds and Ultimate Entertainment. Lastly, don’t miss OASC’s Next event Winter energizer! Open to 8th-12th graders!